The chunky Mierce Wulf Pint Tankard is perfect for a grand night in with a few pints of ale and it looks amazing thanks to the Mierce Wulf Icon. It's even got a handle for that olde worlde feel! 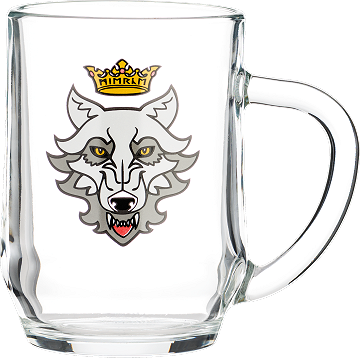 Note that this pint tankard won't accept lager to be drunk from it under any circumstances. It will probably shatter due to embarrassment.